UK delivery within 5 working days. Est. 23 - 26 April. 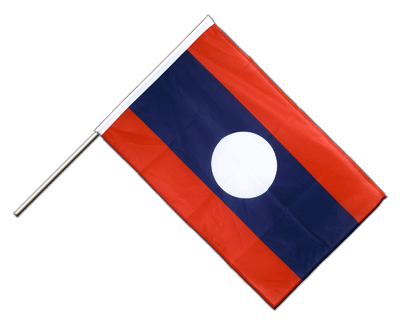 Large Laos hand waving flag PRO manufactured from high-quality polyester in size 2x3 ft with a removable wooden pole. On the left side the flag is reinforced with a white pole sleeve closed at the top. The other edges are hemmed all around with double stitching for high tear resistance. The length of 100 cm is ideal for use as a hand waver. The pole sleeve is not connected to the wood. It is easy to rotate the flag around its entire axis with circular motion. The flag fabric is heavy and slips quickly back down on the polished wood when holding it up and turning it. It is not possible to release the flag from the stick unintentionally. Find many other hand flags of countries of the world in our Hand Waving Flags section. 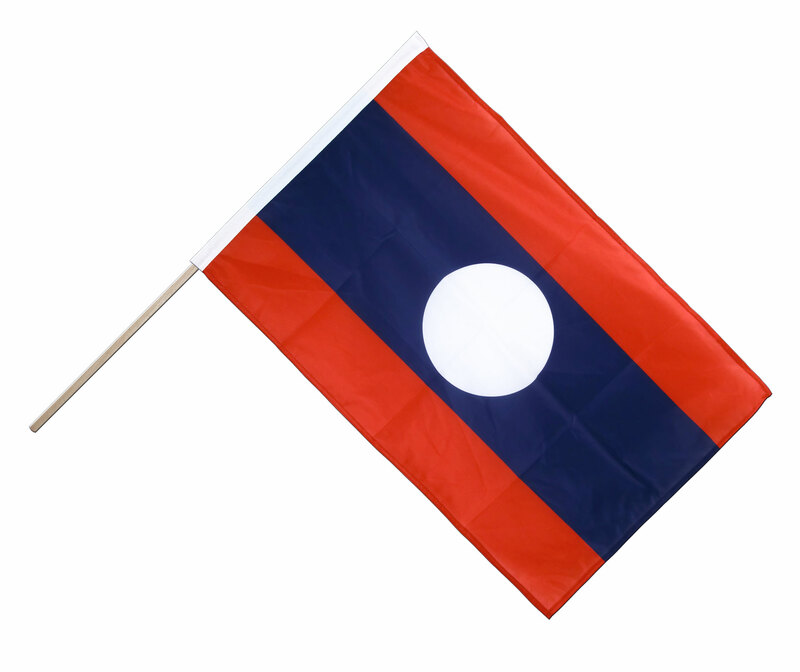 Here you can find all sizes and designs of our Laos flags for sale. Order "Hand Waving Flags" in bulk from us. Buy many with less money. Laos - Hand Waving Flag 12x18"
Laos - Hand Waving Flag 6x9"